Despite more public relations outreach and the ongoing I-4 Ultimate construction, Orlando’s commuter train is still struggling to attract interest from locals as ridership numbers continue to stall. In August, SunRail’s ridership saw another small drop from July, when the train actually saw its first small increase in months. According to the Florida Department of Transportation, the August SunRail conductor’s report shows a daily average of only 3,635 total boardings per day, or about 1,800 total riders taking the train round-trip. August ridership shows the commuter line has fallen back to the levels that have held steady for several months in a row now. According to the July conductor’s report, SunRail had almost 3,900 total boardings, an increase of about 200 from the June report. That increase was quickly wiped away in the month of August. The August ridership also fell below June’s 3,660 total boardings for SunRail. Total riders on the commuter line in August equal the May 2015 counts, showing another stall in ridership. SunRail was expected to reach at least an average of 4,300 boardings per day in its first year of service, which ended in April 2015. The commuter train failed to reach its goal then and has never hit the ridership benchmarks. During SunRail’s first year of service, the daily ridership average was almost 3,700, about 600 short of the 4,300 passenger goal. SunRail broke an average of 4,000 boardings per day in the month of March, which included several special events drawing more riders. Since then, it appears ridership has definitely stalled for SunRail around 3,600 total boardings, or about 1,800 round-trip commuters. 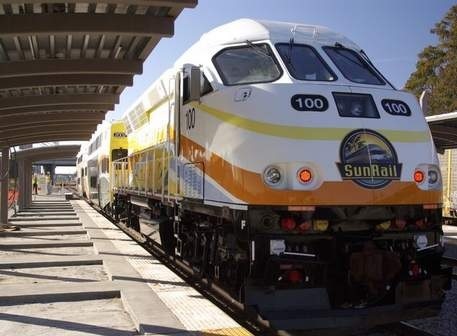 Local officials will have to get more creative in attempting to convince more riders to use the commuter line to turn things around for the troubled train because something is not working with SunRail as it stands.